Mumbai, Jan 22: A delegation of US-India Business Council led by President Nisha Biswal today called on Maharashtra Chief Minister Devendra Fadnavis. The international panel held discussions on the current state of Ease of Doing Business in Maharashtra and also assured assistance in the field of drone technologies, artificial intelligence, and various digital initiatives. 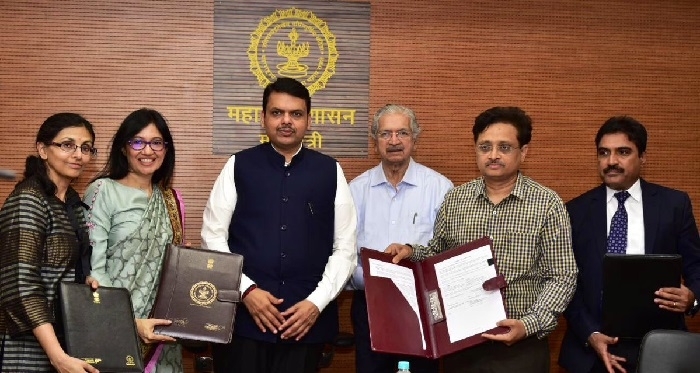 A formal Memorandum of Understating (MoU) between US-India Business Council and Maharashtra Industrial development corporation has been signed in presence of Chief Minister Devendra Fadnavis and Industrial Minister Subhash Desai. The U.S.-India Business Council is a business platform for strengthening commercial ties between India and the United States.